The game of cat-and-mouse has been going on for eons. Cat chases mouse; mouse escapes. Cat catches mouse; end of game. Who wins, how and why have long been questions scientists sought to answer. A new gene recently identified may give us a whiff in the right direction. It’s estimated that free-roaming cats spend about a third of their day hunting smaller critters. Each feral cat kills an estimated 129 to 338 small mammals and reptiles each year. Birds and small mammals, especially mice, are common prey for our feline friends. In order to survive, mice had to develop ways to detect a cat before it was discovered. Turns out mice are really good at smelling cats. Carnivores such as cats produce a unique chemical in their urine. Carnivores like to eat animals such as mice. Over time, surviving mice that sniffed a cat well in advance passed on their successful genes to the next generation. 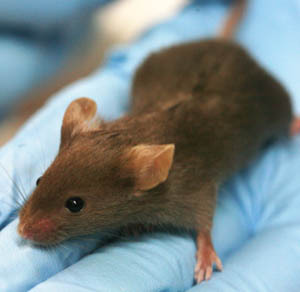 Turns out one particular gene has played a critical role in mouse survival. Neurobiologists from Northwestern University recently published a study that identified a single gene responsible for allowing a mouse to small this unique chemical, TAAR4. Before this research, scientists weren’t sure exactly how genes influenced sense of smell. For millions, if not billions, of mice, one gene matters - a lot. Humans have about 380 “smell genes.” Mice have over 1,000. Scientists have long postulated that the combination of many genes allows us to enjoy, or avoid, certain scents. The general consensus was that removing one tiny gene probably wouldn’t affect smell that much. Wrong. When scientists deleted the single gene TAAR4 from mice, they could no longer smell the identifying chemical of their arch nemesis, the cat. Millions of mice are grateful they have TAAR4. This research has broad implications and has reignited interest in how smell works. Further, it reinforces how important each individual gene is. We’re just beginning to understand genomics and findings such as this demonstrate how much more we have to learn. Our genes act and interact in incredibly complex ways. TAAR4 probably collaborates with other genes to help detect other essential odors. That’s ultimately the trickiest part of genetic analysis; we instinctively want one gene to do one thing only when it’s really much (much) more complicated than that. What happens when TAAR4 recognizes this special carnivorous chemical? How does it recognize the chemical in the first place? How does TAAR4 signal the brain? What genes are activated in the process? What genes preceded the act of “smelling?” Down the rabbit hole we continue, seeking a deeper understanding of biology. The mice just knows it smelled a cat. Time to run. The next time you detect the unmistakable aroma of “cat,” thank your TAAR genes. I’m not sure which one or ones to thank, but you’re welcome anyway. If you can’t smell it, let me know. Scientists may want to study your genes.